One third of fruits and vegetables require pollinators to set fruit properly. 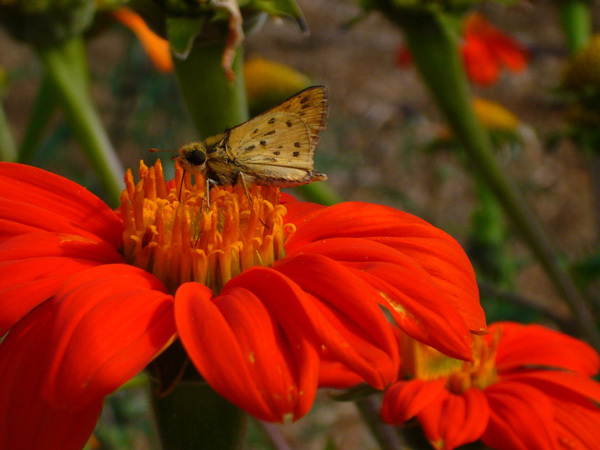 Even fruits and vegetables that don't require pollinators often set more fruit, or fruit of higher quality, after cross-pollination from honey bees, bumble bees, butterflies, or moths. Early in the season, beginning gardeners often panic when they see “squash mummies”—shriveled, shrunken and yellowed fruit that fall off the vine. These are common at the beginning of the season, when cooler temperatures or bad weather ground pollinators when the first flowers appear on the vines. When starting a vegetable garden, add some plants to feed and attract pollinators to your garden. 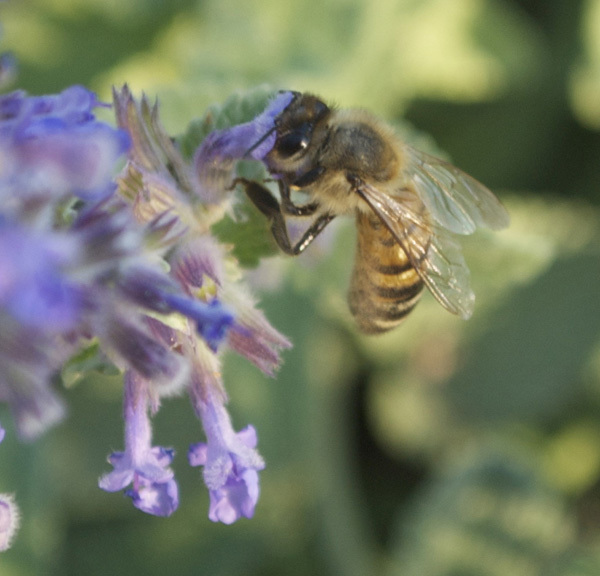 Perennial herbs like oregano, thyme, and rosemary can be planted in borders near vegetable beds to attract and sustain pollinators. 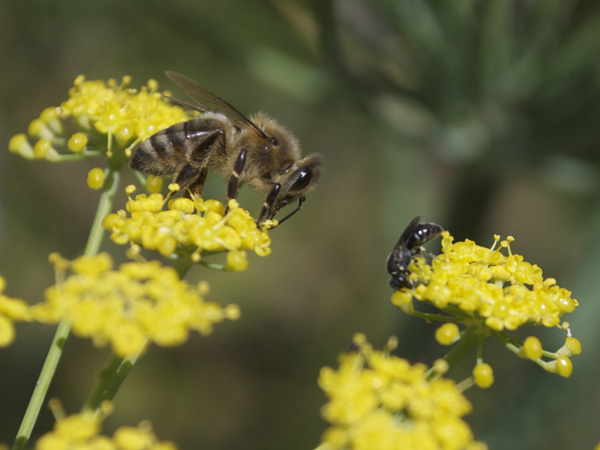 Plant basil, dill, and cilantro in among your vegetables, and allow some to flower to draw in European honey bees, bumble bees, and native pollinators. With Colony Collapse Disorder (CCD) and all the other stresses on our workhorse pollinators, honey bees, it's a good idea to supply them with diverse, organic nectar sources, both to help the honey bees, and to encourage populations of orchard mason bees, bumble bees, and other native pollinators. For more information on pollinators and other beneficial garden insects, see Attracting Beneficial Insects.